in the beautiful Napa Valley. 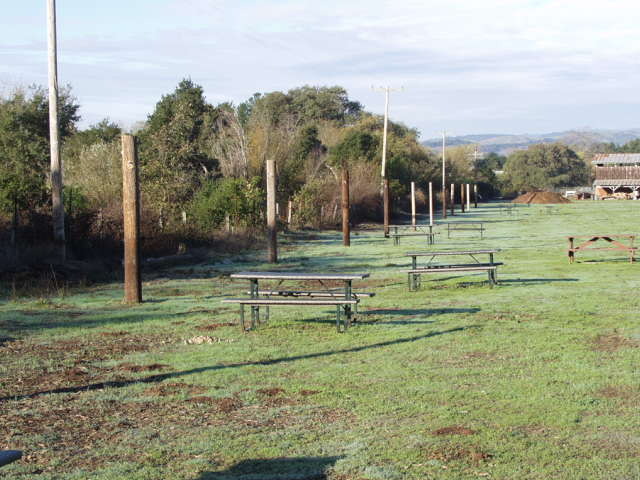 10 spacious horse camping sites, each site will accommodate 2 horses, 2 rigs, with water and picnic table at $30 per night. Bathrooms with showers are available within a short walking distance. There are 15 miles of trail to ride, through wooded forest, valleys and hilltops. Come and enjoy an overnight stay.